Found this vintage gem along the roadside in Hawi, HI. 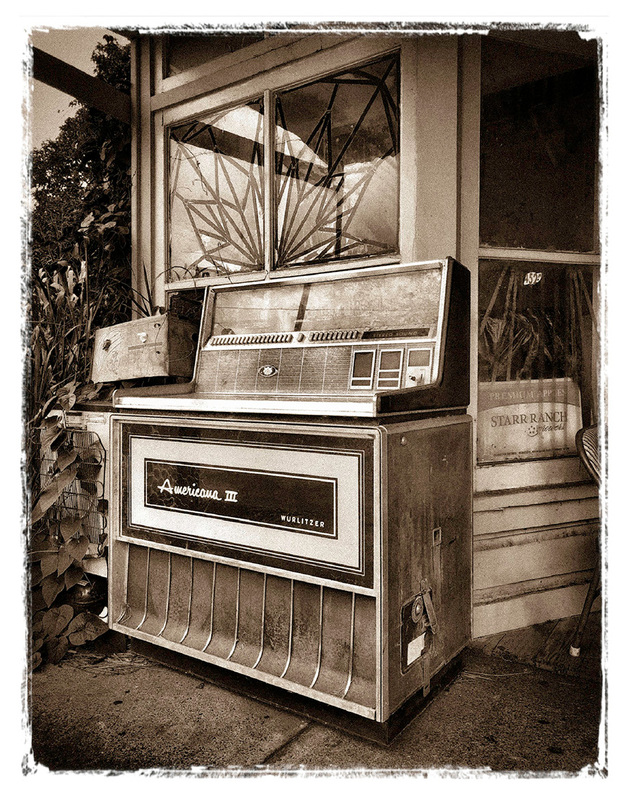 I love the way the light and reflections play off this old jukebox. That geometric mandala made out of electricians tape is also very cool. Americana III – 3300 was produced by Rudolph Wurlitzer Co., The in 1969. Rudolph Wurlitzer Co., The released 200 different machines in our database under this trade name, starting in 1933. Other machines made by Rudolph Wurlitzer Co., The during the time period Americana III – 3300 was produced include Statesman, 3400, Carousel, Zodiac, 3500, Americana II, 3200, Americana, 3000 Stereo Console, and Americana 3100. 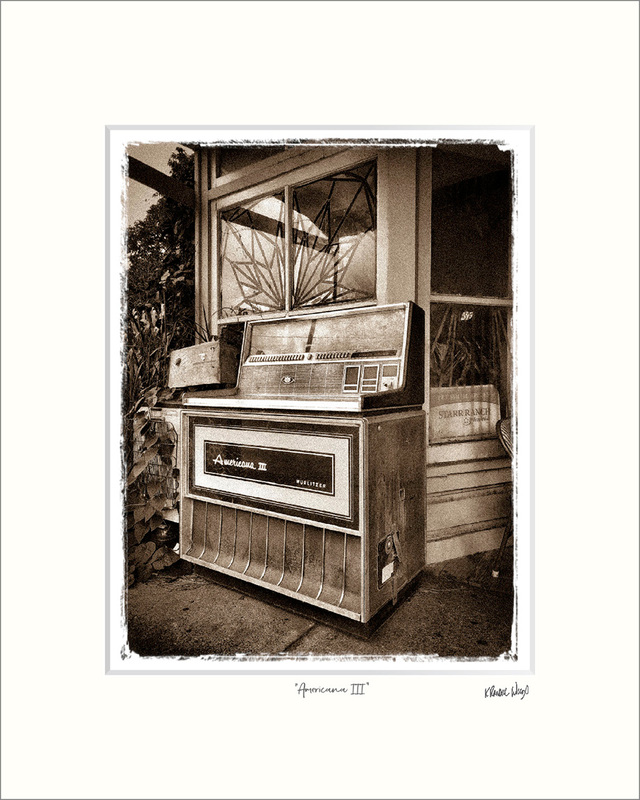 This 11×14 toned image with sloppy borders is made to fit an 8-ply 16×20 mat. Larger sizes and formats are available.